LUPETA, Tanzania — It’s a full day’s bus ride from Dar es Salaam to the district of Mpwapwa in north-central Tanzania. 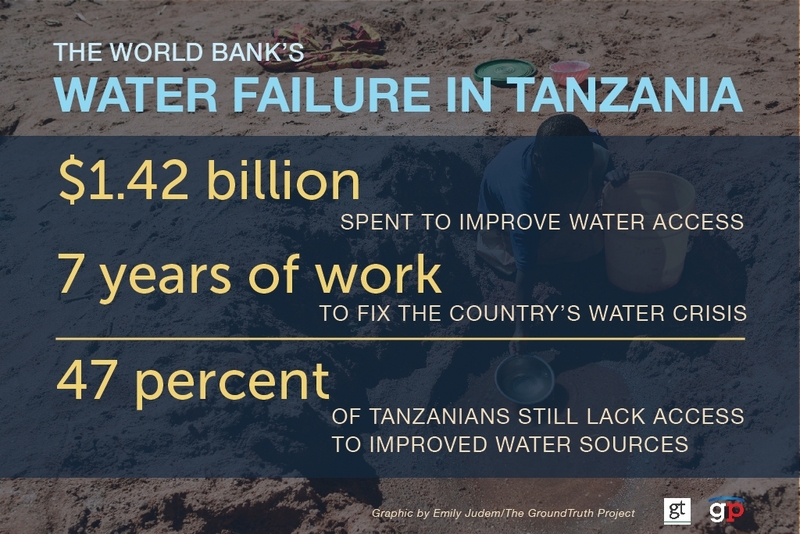 It is here that the earliest signs appeared of trouble ahead for Tanzania’s ambitious water development program. Engineers dug boreholes in 2004 and 2005 to get at water trapped deep in the ground in Mpwapwa and in 13 other places across the country in a precursory step of a failed $1.42 billion water initiative supported by the World Bank, known as the Water Sector Development Programme (WSDP). The idea was to learn how expensive it would be to create functioning water points, how long they’d take to build and how best to establish “community water councils” capable of keeping the water flowing. Leaders would learn from mistakes on a few pilot projects and work out all the kinks before the plan went national. But critics say those lessons went unlearned. Read the full story here. This is Part Two of a series produced by The GroundTruth Project for GlobalPost, funded by the Galloway Family Foundation. Coca-Cola is partnering with governments, NGOs, and other companies to improve access to water, occupying a gray area where genuine charity meets corporate profit. But there are currents of criticism about the project — both from local residents and from a number of NGOs that focus on sustainable development. Critics wonder whether the cleanup was intended to achieve genuine and lasting change or to advance the short-term public relations goals of a multinational corporation. Indeed, most water experts and residents interviewed by GlobalPost say the Mlalakua River cleanup was inherently flawed. They say that while the river is undeniably cleaner, the project did not address the root causes of the pollution: the absence of a sewer system and trash collection for the communities along the river’s banks. A two-month investigation examines what happens when motives of good will and profit mix.